Despite surges in availability and commercial viability, biobased motor oils still only occupy a few niche pockets of the United States’ automotive lubricants market. The green segment’s luck may soon change, however, if it wins over a goliath potential customer: the federal government. The Department of Defense unveiled earlier this year that it is evaluating vegetable- based engine oils’ performance in select non-tactical ground vehicles currently in use – noting that if biolubes stack up against conventional mineral oils, an annual 1.1 million gallons of the stuff could be flowing through the engines of nearly 200,000 DoD vehicles in no time. If biobased oils are comparable to or better than petroleum oil, the conversion could even extend to the entire government’s fleet of more than 633,000 vehicles nationwide, according to the Defense Logistics Agency. 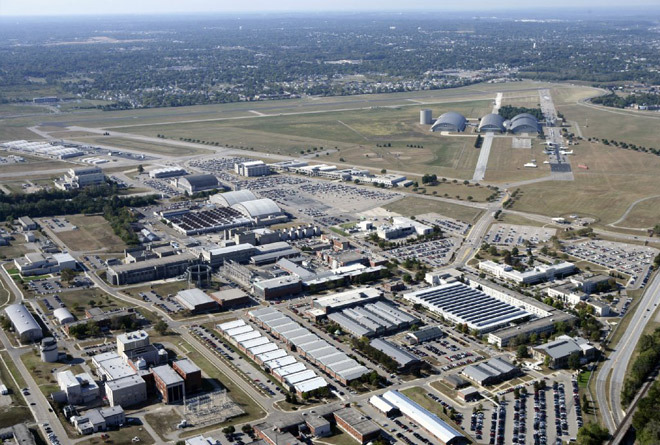 The U.S. Air Force began the experiment in January under the sponsorship and direction of the DLA, the Office of the Secretary of Defense and the Air Force Research Laboratory, which is located at Ohio’s Wright- Patterson base. Project heads and Air Force personnel randomly selected four vehicles at the Seymour Johnson Air Force Base in North Carolina, drained the standard petroleum oil typically used in its ground fleet, and filled the engines with select bio products. They then sent the spent conventional oil to a third-party lab to establish a baseline from which to evaluate the new plant-based oil. The testing ground was then expanded to include a handful of vehicles at a few chosen sites across the map – including Fairchild AFB near Spokane, Washington; Luke AFB in Glendale, Arizona; Malmstrom AFB in Great Falls, Montana, and a Department of Homeland Security law enforcement training center in Brunswick, Georgia, for a total trial pool of 40 vehicles. Although it’s being carried out on a relatively small scale, the field test is designed to represent a wide-spanning range of characteristics experienced throughout the DoD’s deployment of non-tactical ground vehicles. While test vehicles were randomized, the locations were carefully selected based on unique types of services and geographical attributes. “We picked bases and agencies in various climate regions around the country, so we can find out how different environmental conditions affect the data,” Shaban said. The North Carolina site is hot and humid; Fairchild AFB is home to a search, evasion, resistance and escape school that requires vehicle transport across rugged terrain; Arizona is hot and dry, and Montana is prone to snow and extreme cold conditions, explained Senior Master Sergeant Joel Villarin from Virginia’s Joint Base Langley-Eustis, in a March 24 report published on the Malmstrom AFB website. Over a period of 12 to 18 months, operators are to “monitor the vehicle’s performance and to provide [oil] samples periodically so [oil analysts] can see exactly what the oil is doing to those engines,” said Villarin. An airman with the 441st Vehicle Support Chain Operations Squadron, Villarin is one of several team leads, along with Shaban and project manager George Handy, who was also quoted in the Malmstrom report. “The biobased oil is a fully synthetic oil produced from an agricultural blend including canola seed, soybean and synthetic petroleum,” said Handy. The type of oil used in the test is very stable and can uphold the Air Force’s current oil change interval of 7,500 miles, he said, adding that the products also promise the potential to extend drain intervals to up to 10,000 miles. Biobased oils will have to be dropped in an engine that had previously used conventional motor oils, without engine modification. Handy also noted that the vehicles are in most cases running on biobased or synthetic fuels, which allows for better synergy with biobased engine oils. “There shouldn’t be any change in the performance of any of the vehicles because they are already running on synthetic fuels,” he said. “There are three oil manufacturers providing the oil, balanced throughout the Air Force sites, so all three get the same amount of vehicles and variety to test the oil in the vehicles,” Handy pointed out. The suppliers are Biosynthetic Technologies, BioBlend and Loch Sciences b2 biOil, according to the DLA. BioBlend is based in Elk Grove Village, Illinois, and was launched in 2007 with seed capital from private investment firm Quest Technology Ventures. Biosynthetic Technologies recently secured loan guarantees from the U.S. Department of Agriculture topping $100 million. The Irvine, California-headquartered base oil supplier is obtaining the loan in part to build a refinery with capacity to produce 67,000 metric tons of synthetic ester base stocks per year using fatty acids derived from high-oleic vegetable oils as feedstock. Biosynthetic Technologies’ CEO, Allen Barbieri, told Lubes’n’Greases that the Air Force field tests represent just one stage in an ongoing process – and a more supreme driver of the tests is the USDA’s BioPreferred Program. The directive, which was created by the Farm Security and Rural Investment Act of 2002, mandates that the government and its contractors purchase products with a specific minimum level of renewable, agricultural ingredients in almost 100 categories of products found in everyday equipment and services – including various types of lubricants – if such a product exists and can be proven to perform as well as its non-biobased alternative. To ensure that a high-performing biobased motor oil exists, the USDA actually invented the technology underlying BioSynthetic Technologies’ base oils, Barbieri noted. The agency has a vested interest in seeing that the venture comes full circle to align with the program’s goals. However, when it comes to passenger car motor oils, biobased products aren’t yet available on a wide commercial scale, he remarked, so the directive isn’t currently enforceable. But once commercial supply of biobased motor oils is adequate to meet demand, the products will inevitably find their way into the engines of federal agencies’ vehicles. The current goal of the conversion process is to validate biobased products’ performance in the field. While Biosynthetic Technologies is a base oil supplier, Barbieri noted that the company developed finished lube formulations with additive supplier Infineum International. These showcase the attributes of its base oils he said are comparable on a performance level to polyalphaolefins, but cost less to manufacture. As the formulations have been ILSAC GF- 5 certified and will likely meet GF-6 standards when the time comes, Barbieri said his company is confident that the products have already been put through the most robust, rigorous tests. The company will market and license its technology based on performance and price points rather than its classification as a biobased product, he pointed out. Yet the government’s eventual conversion to biobased PCMOs will still be a big win for plant-derived base stock providers, who will have a large market open to them when finished lube suppliers who will have a large market open to them when finished lube suppliers look to source biobased feedstock. The Air Force is not the only entity testing biobased oils. The DLA noted that it was planning to expand testing to several other federal agencies this year, and Barbieri pointed out that the company has been approached by other agencies interested in testing as well.